In Part 2, we're going to talk about an overall approach to manuscript writing that keeps your purpose clear and your words simple. ​We'll also touch on words we commonly mix up. ​On Day 3 of the challenge (Read Before You Write), we talked about reading before you write. 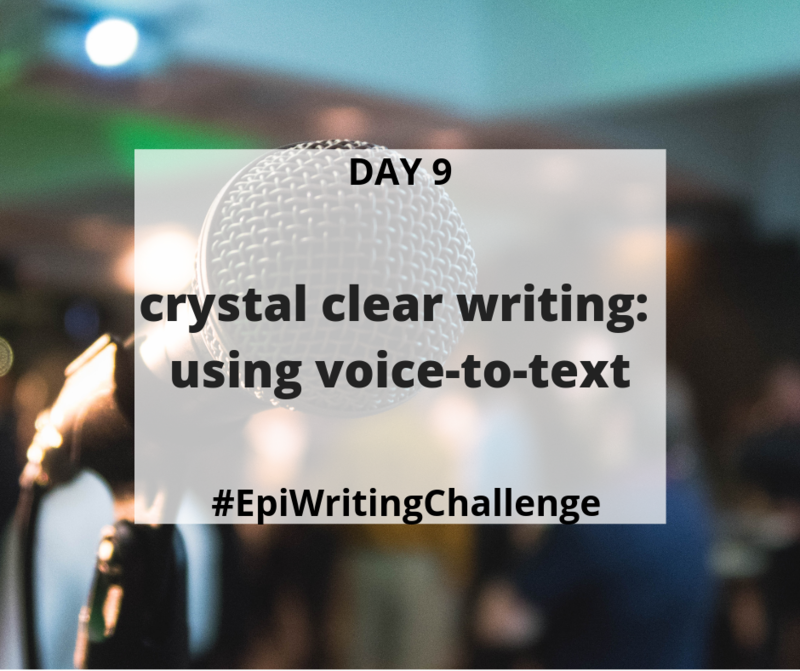 Many of the #EpiWritingChallenge participants were excited that reading counts as writing and they shared tips on how you stay on top of your reading piles. 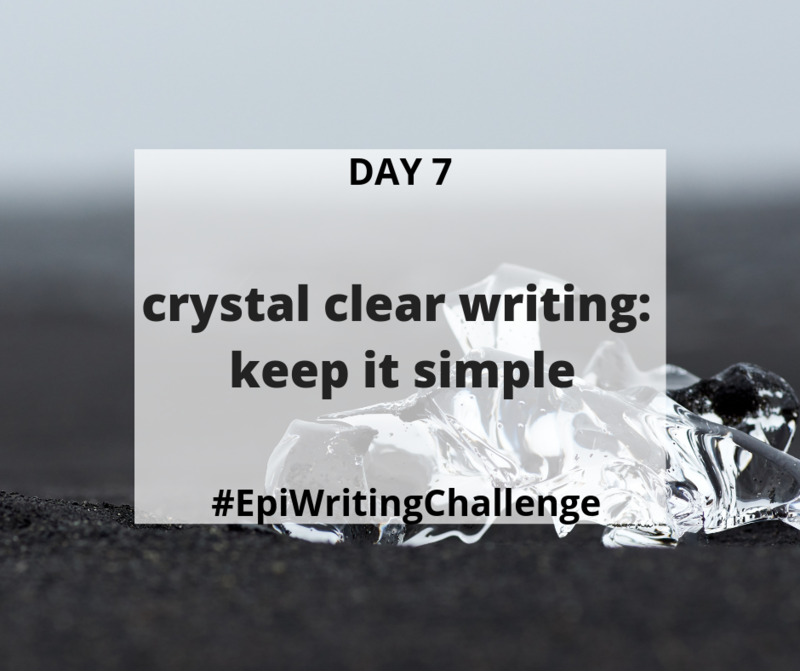 Day 3 of the #EpiWritingChallenge: Read before you write. Reading regularly allows you to absorb information and influence what you put back out into the science literature. I’m particularly impressed when I see clear writing in a discussion section. Keep a folder of these papers and refer back to them before you sit down to write. Think about why the writing is clear - short sentences? ​Do they use complex words, or keep it simple? 1) Create an elevator pitch for your paper - Craft different ways to explain what you did and why. Keep this list nearby as you continue to write your paper. 2) Topic sentences – Be sure you have a topic sentence for each section of your paper. Everything after that sentence should relate – if it doesn’t, get rid of it. The Print, Cut, Shuffle method from Ellie last week is very effective for this. So is the reverse outline method. 3) Organize results by research question – write a sentence in each results paragraph that connects the finding to the question asked. You’ll find that using this format leads to the question in the next section because our aims are often complementary. Aside from sentence structure, word choice plays a key role in writing clarity. 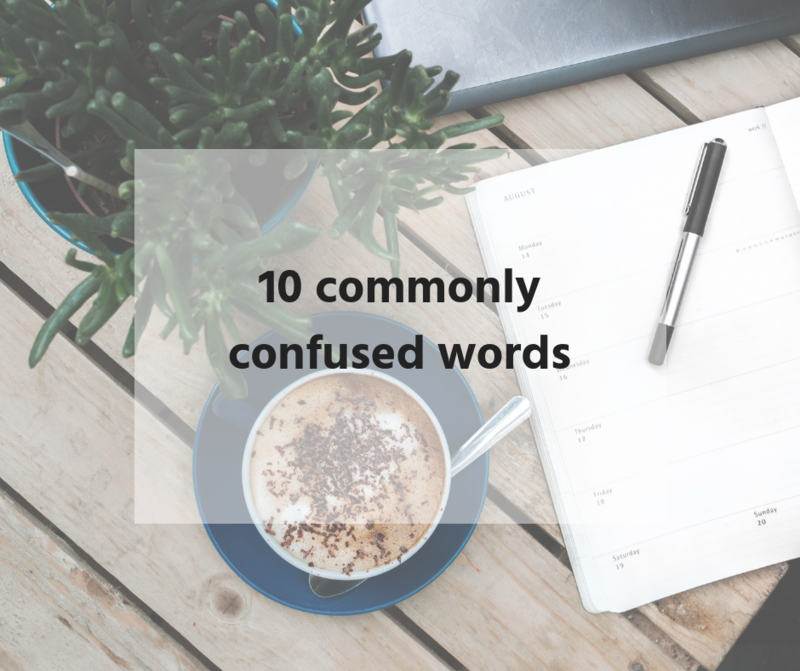 Last year, I wrote a post about 10 words you may be using incorrectly - 10 words that even native English speakers mix up. Many of these might find their way into your scientific writing. Particularly "imply" and "infer", "effect" and "affect", "among" and "between". You imply something as a speaker, or writer. The recipient infers from what you implied. So which of the following is correct? "From the data, we can infer that..."
"The effect of including all stages of cancer in the study may be residual confounding." "In order to affect policy, scientists must utilize a variety of methods." Note that in psychology, affect is used as a noun to describe someone's demeanor. "She exhibits flat affect." Also, effects can refer to personal belongings, or a state of being operative. "Johnny collected his effects before sneaking out of Amy's apartment." ​"The new vacation policy is now in effect." Some people say "between" is for 2 items, and "among" is for more than 2 items but that is not technically correct. Additionally, there are instances where you may use "choose from" instead of "choose between" or "choose among" though the context is the driving factor in these word choices. Another set you might mix up is comprise and compose. The pie is comprised of 8 slices, or the pie comprises 8 slices. On the other hand, 8 slices compose the pie. So, a whole is comprised of the parts, and the parts compose the whole. We are influenced by what we read. If we read science prose with overly complex words, we’re more likely to write that way, too. ​So open up that folder of well-written papers and bask in their simplicity.